October is our favourite month here at Ayre & Oxford. 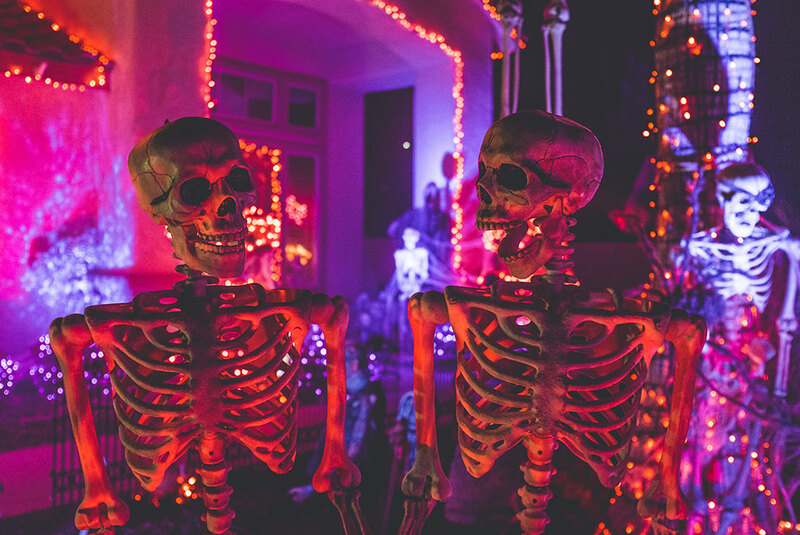 If you're looking for some great family fun this month, here's a list of spooky attractions near you. Head to the Night of Fear Festival, which will be held this year at the German Canadian Cultural Centre. Older visitors who don't spook easily can enjoy some fright-filled attractions throughout the weekend, while Saturday afternoon will be reserved for some lighter scares for young visitors, including a kids' costume contest at 1pm. All weekend long festival goers can enjoy a haunted house, escape room, or a reading from a tarot reader, while Friday night will feature a live band and short horror film screenings. Residents at Millborne Mews and Woodvale Townhomes can drive to this festival in under 10 minutes. Residents of Ospin Terrace and Summerfield Townhomes are just 20 minutes from the largest and most popular corn maze in Edmonton! This year's maze theme is the Edmonton Oilers. Check their Facebook page for up to date maze conditions and operating hours. Other farm fun includes jumping pillows, peddle cars, tractor rides, farm animals, spud guns, and farmcade games. Head down to the Alberta Aviation Museum for a spooky scavenger hunt and a chance to win some candy prizes. Bring the kids in costume for their free admission! Residents of Parklane Gardens, Squire Arms, Squire Manor, Regal Arms, and Prince Rupert can all travel to the museum in under 5 minutes. Residents of our Harmony at Hollick Kenyon community are just 25 minutes from this family-friendly event. Visit any weekend in October and check out their corn maze, petting farm, wagon rides, Not-so Haunted Farm House, pumpkin cannons, magic shows, and ghostly tours through the cemetery. Kids in costume get in free! Attend the Ghoulish Garden Party for Halloween crafts, games, and of course, treats! The feature pyramid has a Day of the Dead theme with chrysanthemums and celebratory props to celebrate Mexican traditions. Residents of Cloverdale Hills can walk to the conservatory, where tours of the Day of the Dead pyramid are offered until November 18.